Spiders are not my favorite subject to photograph, but they have fascinating colors and patterns to entice even the intimidated me. I didn't come too close but the hair on my back stood straight up as I quickly shot these photos. Let's buy yourself a macro lens. Ładny pająk. Ja się ich nie boję. Ja nie lubię pajęczyn. Pozdrawiam. Nice spider. I'm not afraid of them. I do not like cobwebs. Yours. Spiders scare me. I love the pattern on his back though. ahh, what beautiful details on the spider you got there, Icy. Great captures, they do have a neat pattern and colors. Have a happy weekend! Yep, not my favourite either but great shots! 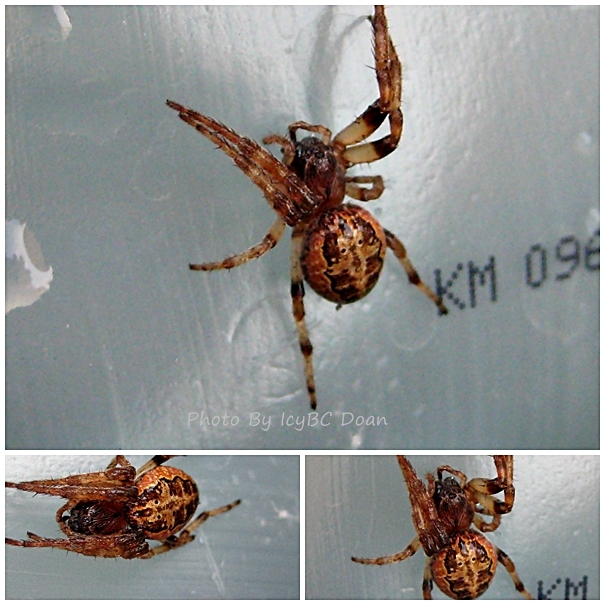 I think spiders make for a great subject to shoot and you got a great capture here! Great photos of the spider. He is an interesting little fella. Fascinating and slightly creepy too. Nice shots. No thank you! However, I can never not look!